with this article we are starting looking in to top 5 IOT cloud provider overview and today we are starting our first IOT Platform provider overview with AWS. 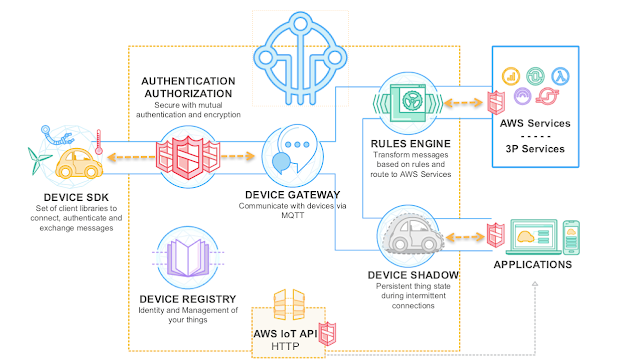 AWS IoT is a managed cloud platform that lets connected devices easily and securely interact with cloud applications and other devices. AWS IoT can support billions of devices and trillions of messages, and can process and route those messages to AWS endpoints and to other devices reliably and securely. With AWS IoT, your applications can keep track of and communicate with all your devices, all the time even when they aren’t connected. AWS put lot of efforts into innovation and building features and have most powerful set of tools. AWS also have software development kit (SDK) to help development team to build application to run on AWS. please refer below example of SDK process flow of IoT. Pricing is based on messages sent and received by AWS IoT, charges per million messages sent or received. There are no minimum fees and not get charged for messages to following services. There are many benefits and futures to discussion, but find the below core benefits about. we may discuss these in detailed in our future articles. CONNECT AND MANAGE YOUR DEVICES: AWS IoT Core allows you to easily connect devices to the cloud and to other devices. SECURE DEVICE CONNECTIONS AND DATA:AWS IoT Core provides authentication and end-to-end encryption throughout all points of connection, so that data is never exchanged between devices and AWS IoT Core without proven identity. PROCESS AND ACT UPON DEVICE DATA:With AWS IoT Core, you can filter, transform, and act upon device data on the fly, based on business rules you define. You can update your rules to implement new device and application features at any time. READ AND SET DEVICE STATE AT ANY TIME:AWS IoT Core stores the latest state of a device so that it can be read or set at anytime, making the device appear to your applications as if it were online all the time. 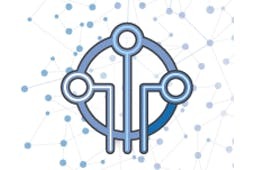 AWS IoT Core makes it easy to use following AWS services to build IoT applications that gather, process, analyze and act on data generated by connected devices, without having to manage any infrastructure. we will be evaluating AWS IoT services in one of our future article to see the actual work flow. will be discussing our next IoT platform provider (MICROSOFT AZURE IOT HUB) from our top most 5 list in our next article.